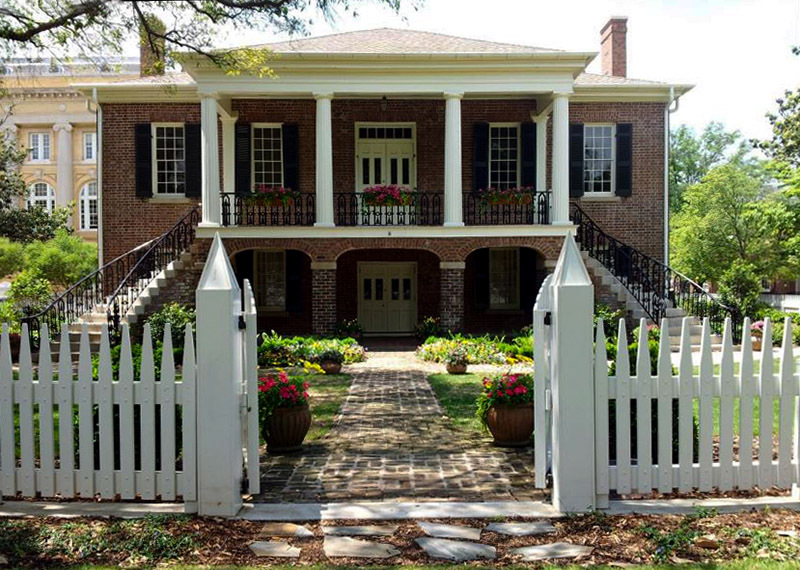 Named for University of Alabama president Josiah Gorgas (1818-1883), the Gorgas House is the oldest building on the campus in Tuscaloosa, Tuscaloosa County. It was built in 1829 as a dining hall and hotel among other things. In the 1840s, it was used as a faculty residence and is one of only seven structures that survived when Union forces burned the campus during the Civil War. The Gorgas family moved into the home in 1879 and lived there until his death in 1883. The building now serves as a museum to the Gorgas family and houses exhibits related to nineteenth-century life in the home. It was added to the National Register of Historic Places in 1971.